Back in November, our power was out for a few days. On the third morning with no power, I woke up around 4 a.m. wanting to draw. I drew by candlelight until just before sunrise when I left the house to watch the day awake. 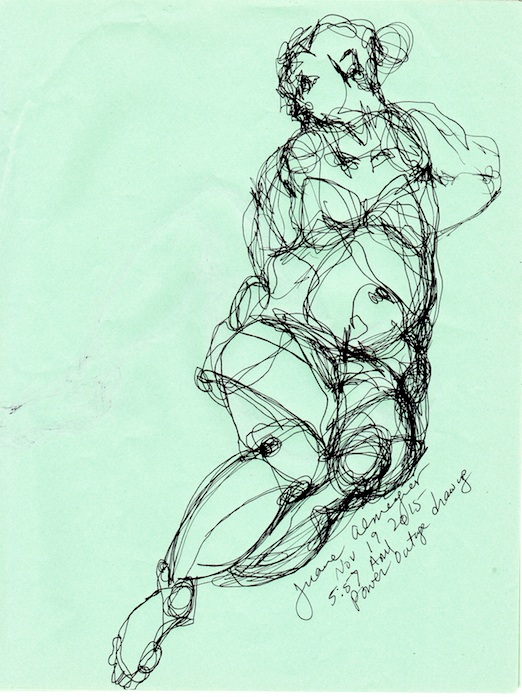 Lovely sketch of the female figure! Drawing by candlelight, why not, glad you made good use of that time. Oh she's wonderful! I love her!